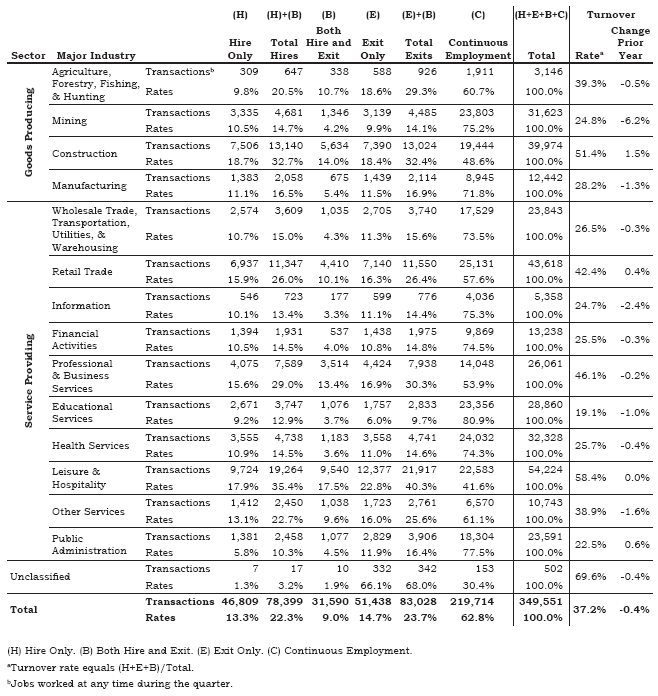 The third quarter 2007 (2007Q3) statewide turnover rate was 37.2%, down 0.4% from 2006Q3. The 6.2% over-the-year decline in mining was primarily responsible. Other industries with declines include information (-2.4%), other services (-1.6%), and manufacturing (-1.3%).